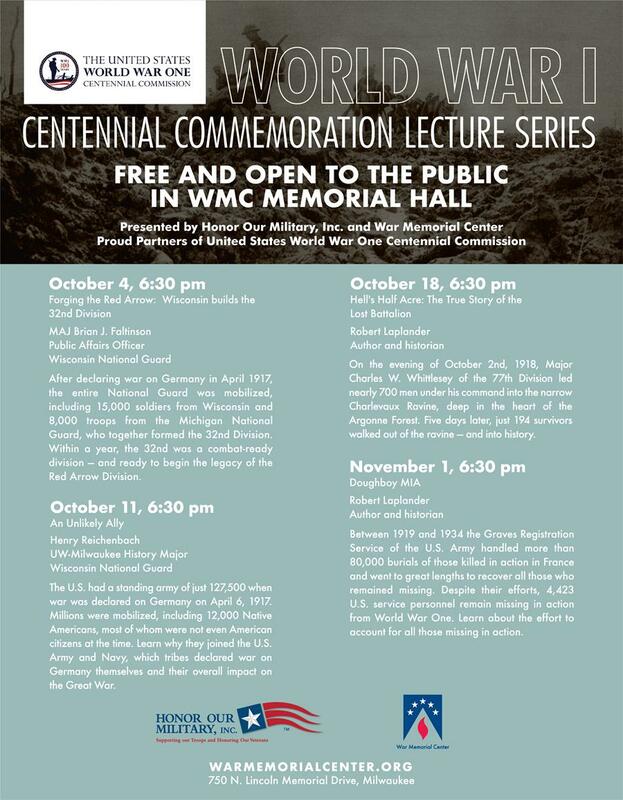 On the eve of this year’s Milwaukee County Remembers 9/11 ceremony, the War Memorial Center released this video, which was widely shared on Facebook. War Memorial Center Executive Director Dave Drent and former board member Gary Grunau talk about the history of the 9/11 Memorial housed at the WMC. If you have yet to join us for this annual ceremony, make plans to do so next year. It’s held at 7:30 a.m. every year on September 11 in Veterans Courtyard. 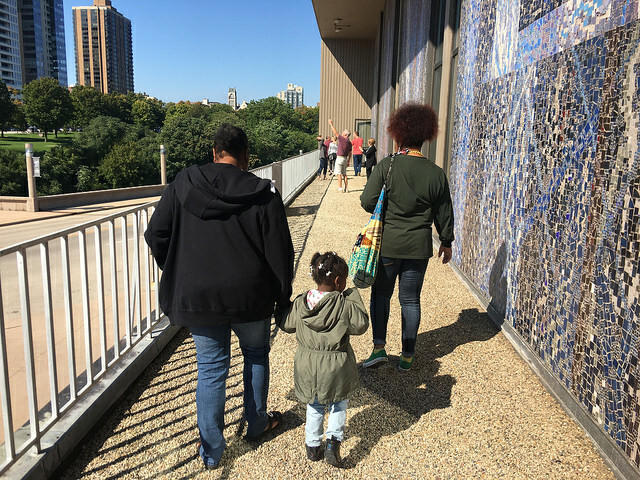 This past weekend, we were thrilled to once again participate in the annual Doors Open Milwaukee. 170 buildings are featured in this city-wide event which encourages people to rediscover the buildings and places that make Milwaukee so special.  The War Memorial Center had 1,200 people visit our facility. On Sunday, we opened the balcony for the second time in our history and allowed participants to get an up-close look at the Edmund Lewandowski mural. According to Major General (Ret.) Dennis Laich, the U.S. military is beginning to experience a steady erosion of its ability to secure our nation. In his book Skin in the Game: Poor Kids and Patriots he indicates that of the approximately four million Americans who turn 18 each year, only about 29 percent are eligible for military service (education, incarceration issues, etc.). Another 15 percent are unwilling to serve. You do the math. Unable to recruit the best and brightest, the services are now being forced to accept those who barely get through the aptitude tests, or "category 4" Personnel. Skip the old inter-service jokes about the Marines get the Army Cat 4’s, and the Navy gets the Marine Corps Cat 4’s, blah blah blah, this is serious stuff. Despite offering bonuses, including some at $40,000, the services still expect to be challenged in reaching their recruiting/retention goals this year. One would think that finding 150,000 18-year-olds among a population of 4 million (.03%) to serve in uniform wouldn’t be that difficult, but it is. The 2.6% raise the president and congress approved this year will help but much more needs to be done. Clearly, a lot is at stake. When I last checked, the Russians, the Chinese, and the North Koreans had no such recruiting problem. 9/1/1939: WWII in Europe began as Hitler’s German Army invaded Poland. 9/7/1776: The Continental Congress changed the name of our new country from the United Colonies to the United States. 9/17/1862: General Robert E. Lee’s army met General George McClellan’s army at Antietam. By the end of the day 26,000 were dead, wounded, or missing, making it the bloodiest day in American history. 9/18/1947: The United States Air Force was established. America’s veterans: They don’t have the best of everything – they just make the best of everything. 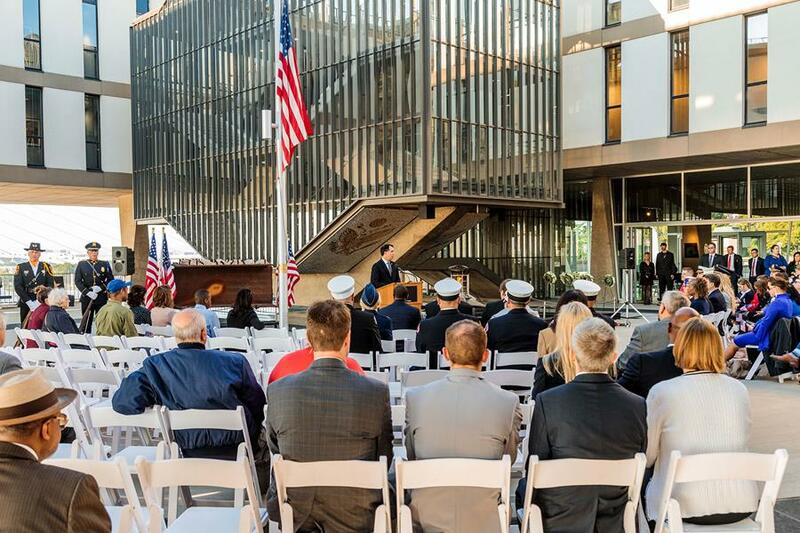 The War Memorial Center: Honoring Milwaukee’s veterans since 1957. 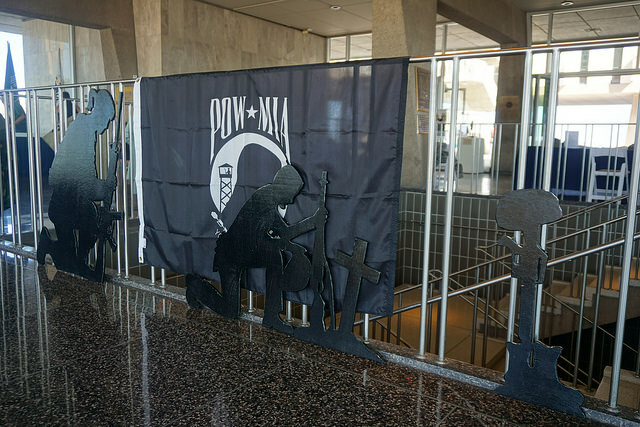 September 21 was POW/MIA Recognition Day. We hope everyone took a moment to pause and reflect on all those who were taken by the enemy and those who never made it home. They will never be forgotten. The last Sunday in September is Gold Star Mother’s and Family’s Day. This day was created to recognize and honor those who have lost a son or daughter while serving our country in the Armed Forces. Please take a moment to watch the story of Janice Dahlke, who lost her son Randy during the Vietnam War. He died 11 days before his 19th birthday. Did you notice a gold glow coming from the War Memorial Center this month? We joined many Milwaukee buildings who went gold to raise awareness for childhood cancer. We were proud to light memorial hall and our eternal flame in gold for September.